Tenue de Nîmes will be launching their 10th Anniversary release with Momotaro Japan, as well as their special ‘Blue Propaganda’ Denim Days tee in collaboration with Office of Information. Come celebrate CKX Studio’s 1 year anniversary! Visit their store and get a chance of winning a unique Kings of Indigo selvedge trucker jacket, hand painted by CKX Studio. The Tommy Jeans collection celebrates American icons, giving a youthful and irreverent nod to Tommy Hilfiger’s most iconic denim styles. For fans who love iconic styles. Free repairs for life! Every pair of Nudie Jeans comes with a promise of free repairs. No matter when or where you got them. Just hand your jeans in at Nudie Jeans Repair Shop. Calvin Klein Jeans is a celebration of timelessly American touchstones, almost totemic codes of dress: the trucker jacket, the Western shirt, the cowboy boot, the baseball hat, and the bandana, to name but a few. 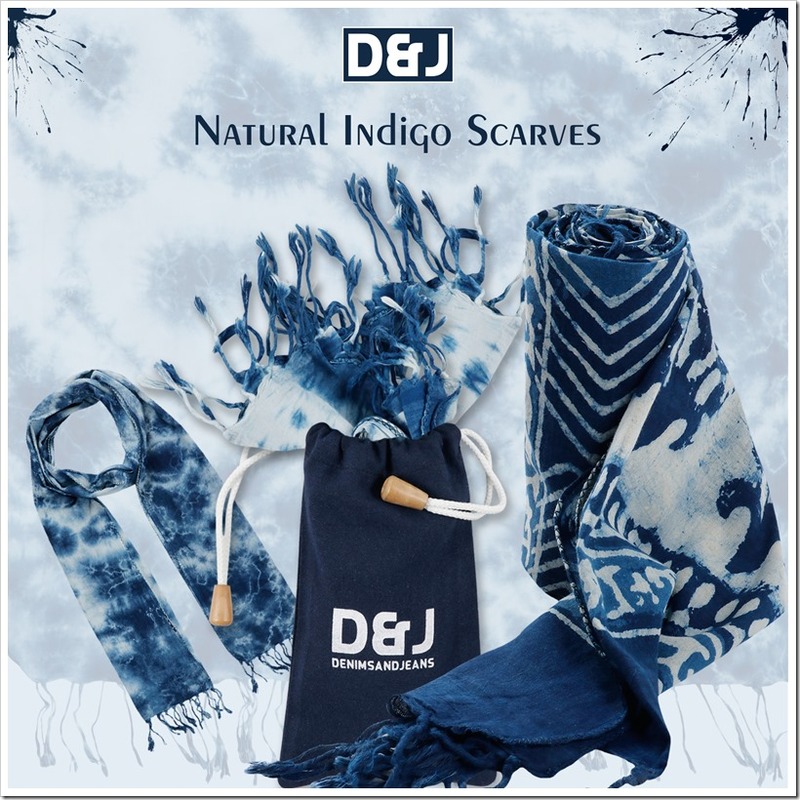 Denim City Store : Shop your favorite blue look at Denim City Store. 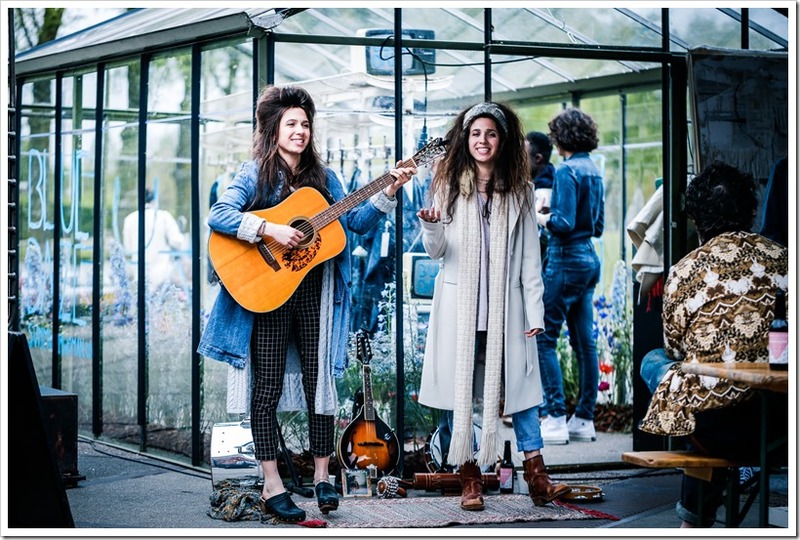 Especially for Amsterdam Denim Days, there will be a pop-up by the Swedish textile designer Lill O’Sjöberg. 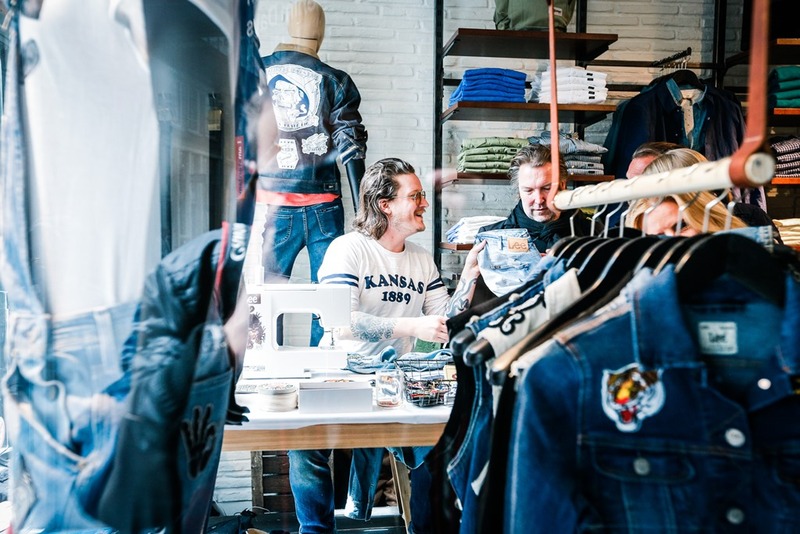 Denim City Workshop :The Denim City Workshop will be open all week. 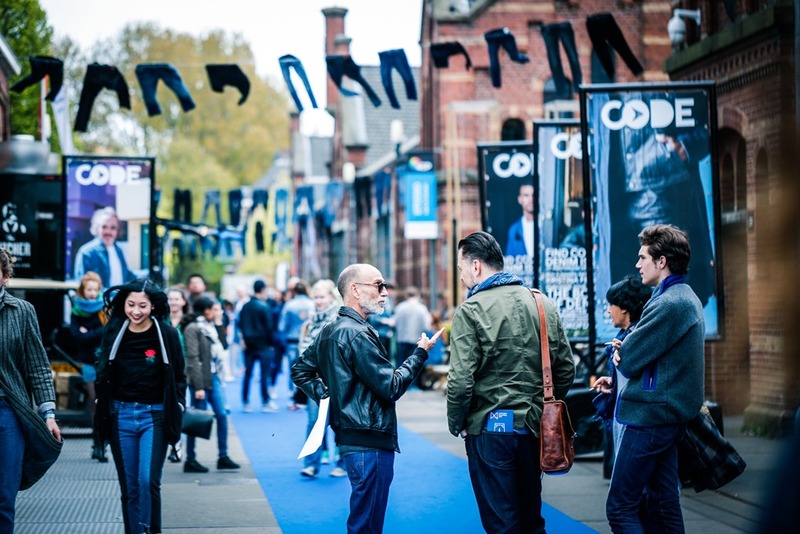 On October 27 – 28, the workshop is open for free repairs and customizing jeans. BlueLab : A denim laundry nowadays is a very high-tech and innovative discipline, that combines artistic creativity with craftsmanship and technology. Get an inspiring glimpse of the way denim washings are done (closed on October 26). Bossa : At the DENIMREMADE workshop, Turkish artist Deniz Sağdıç will create artwork on-the-spot by using Bossa’s old garments. And since Bossa loves to see our visitors using their denim skills, you can be part of this artwork. 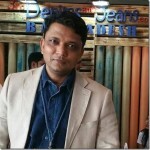 DENHAM : the Jeanmaker To celebrate their 10 years anniversary, DENHAM the Jeanmaker has partnered with NORR11, to introduce DENHAM furniture. The 10-piece collection includes bar stools, dining chairs, a daybed, lounge chairs and ottomans. Each is expertly crafted from a unique indigo leather, which is a nod to DENHAM’s passion for jeans. Alfredo Gonzales X Textielfabrique : Choose a pair of Alfredo Gonzales’ socks and get the tools and instructions by Textielfabrique to make your own indigo dip dye. Go as crazy or basic as you want! Pains: 20 euro per person. Gains: Indigo dyeing knowledge and experience and a pair of Alfredo Gonzales socks in a gift box. Orta Anadolu : A curiosity around vintage continues to be a huge source of inspiration for ORTA. Archive Chronicles encapsulates 65 years of weaving stories – the past, present and future of denim. All the designs and washes were developed with The Vintage Showroom in a journey, from our Kayseri Mill to Italy. 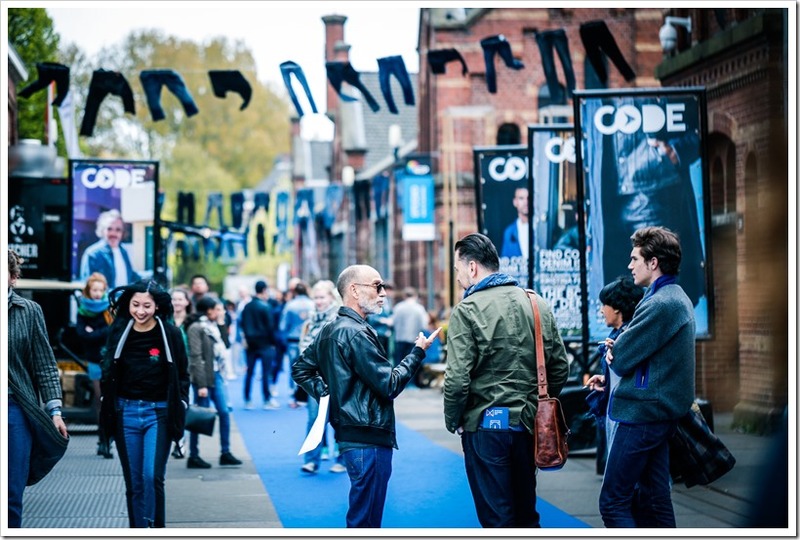 Soorty : At Amsterdam Denim Days, Soorty collaborates with the inspirational crafts of Blue Print Amsterdam and hosts an all-blue indigo print workshop, where you are welcome to get your hands blue! Find out more about the newly introduced Future Possibilities platform and be part of the dialogue on responsible consumption. And to top it off, Soorty will also be presenting the launch of their C2C Gold Certified line! 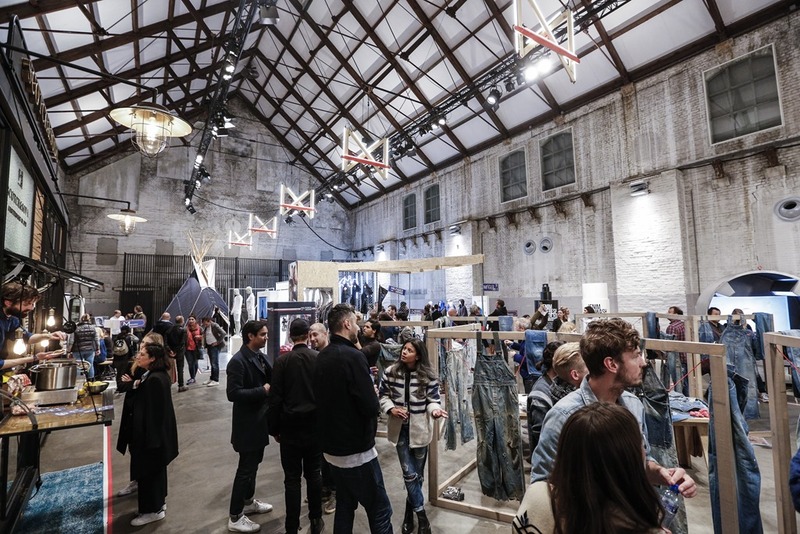 Amsterdam Denim Days brings you some amazing workshops and live demonstration of some denim activities including repairs, stitching, printing and dyeing. Check out where you can tweak, dye, stitch, screen, print and buy. 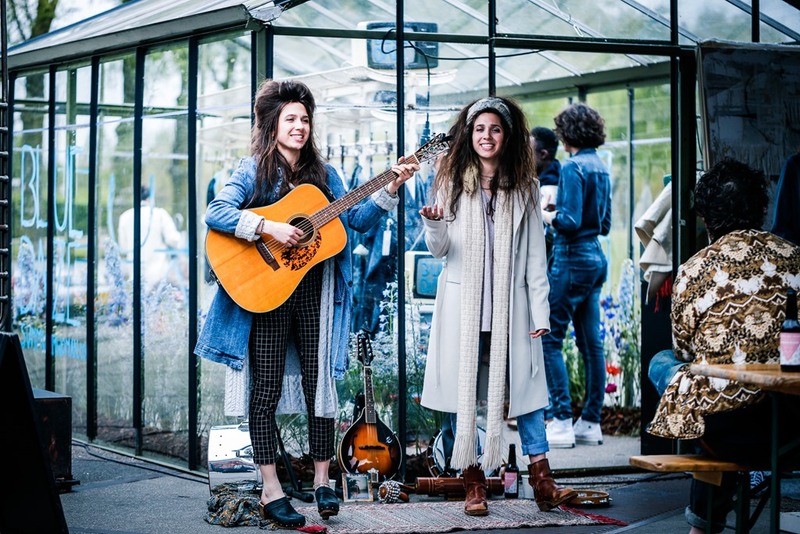 Amsterdam & Co Upcycle Studio : Make sure to bring your used denim, because at the Upcycle Studio you’ll cut, tear, sew, embroider, paint to give your old denim an upgrade. 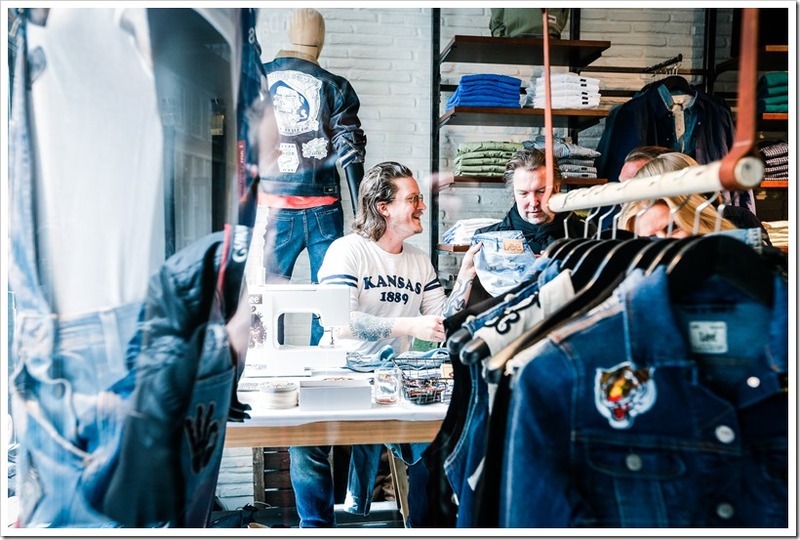 Get inspired by Bas Kosters and his team of Jean School Students at Amsterdam Denim Days. Big Blue Coloring Picture : Be part of our Denim Days painting project. Denim Days created a gigantic colouring picture which needs some blue colors. We need you and your kids to help us finish this denim inspired piece of art. BORO*MINI BORO*: MINI sells 100% plant based baby products colored with plants & roots, produced in a social sustainable way in their own BORO*ATELIER in Amsterdam. 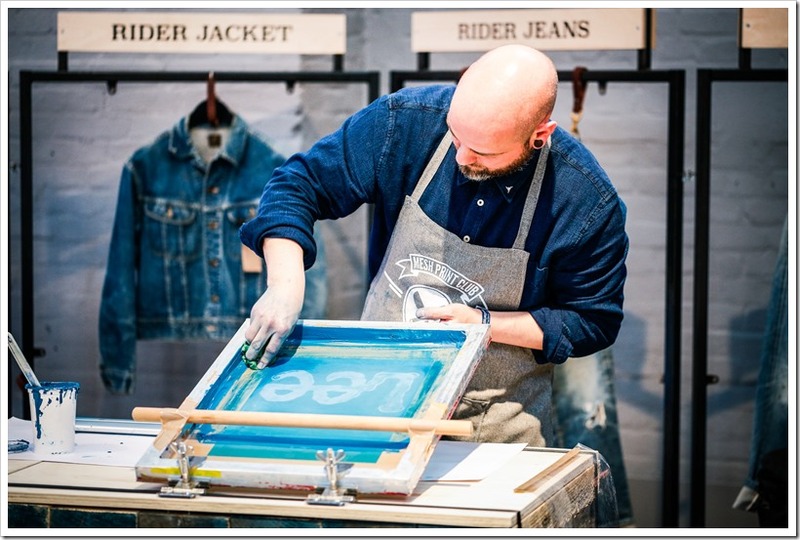 Visit their workshop at Amsterdam Denim Days, where you can experience live screen printing. CKX Studio : Cyanotype is a photographic printing process that produces a cyan-blue print. 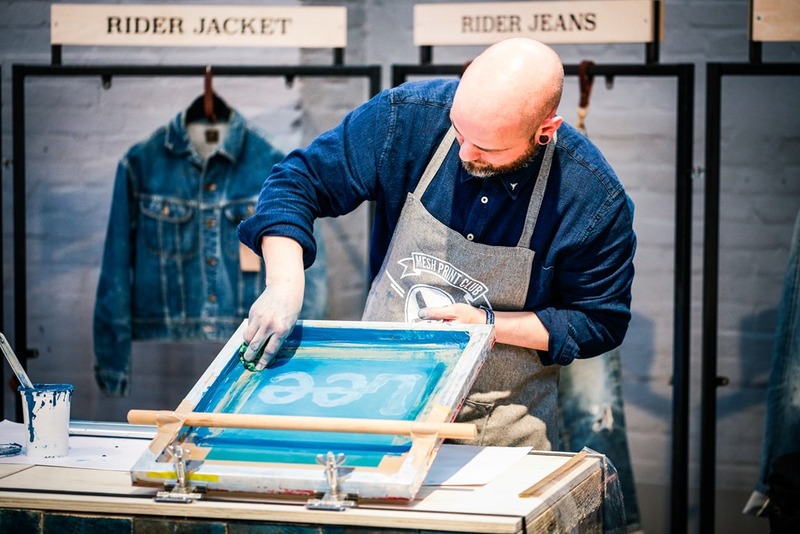 Come make your own hand printed cyanotype on wind powered, handmade cotton paper, made out of recycled denim & workwear, during the blueprint workshop hosted by CKX Studio. Visit their booth to get the finest selection of Japanese and French vintage workwear, blueprint artwork, indigo craft, and more blue treasures. 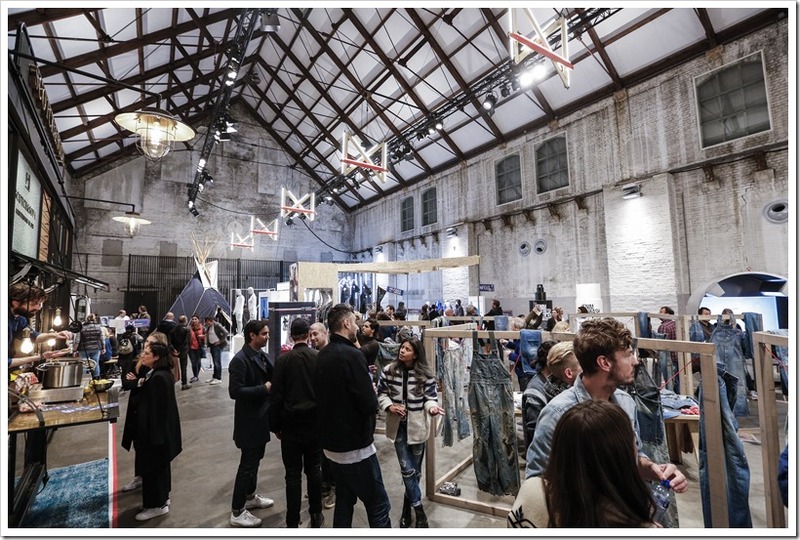 Kingpins Amsterdam – the well awaited Denim Show will happen on Oct 24& 25 along with their Transformers Seminar on sustainability , talk by Tracey Panek on Levi’s 100 years of Women’s garments , trend talks and others. The show will have about 100 companies displaying their latest collections.